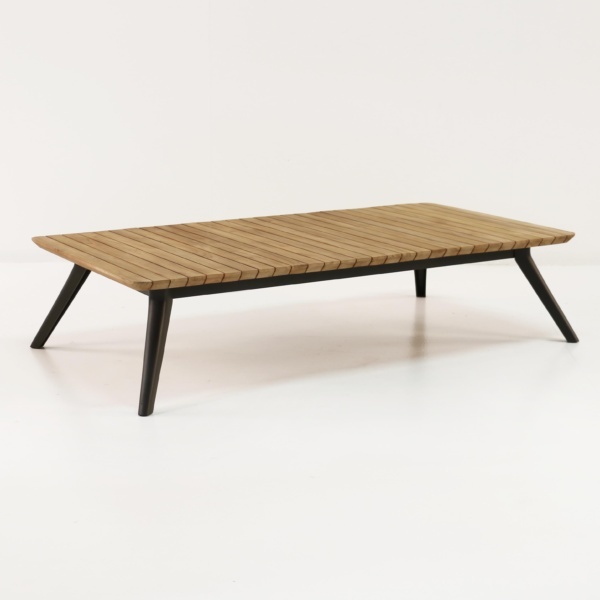 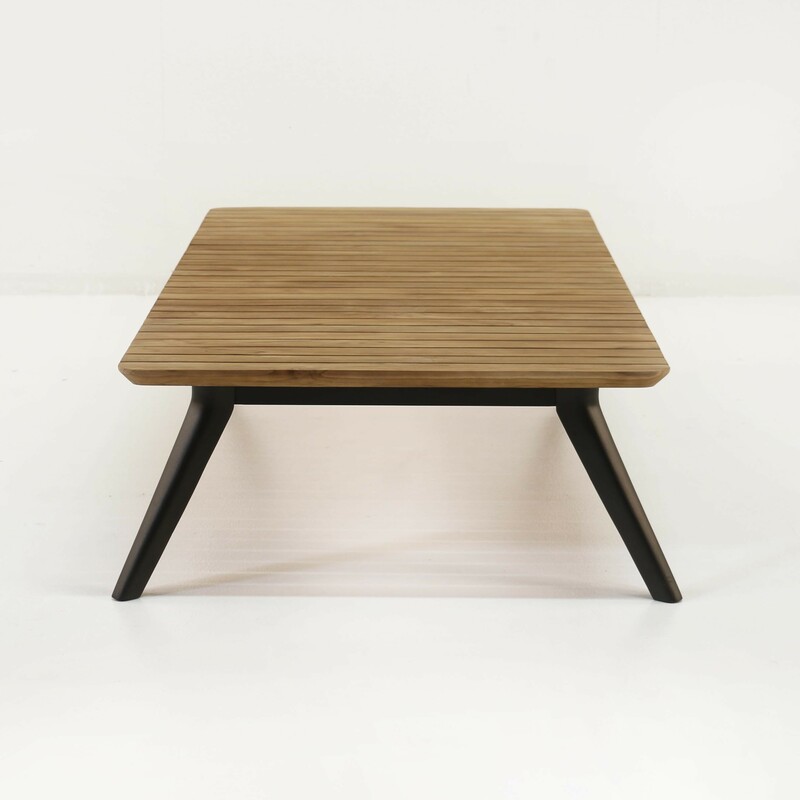 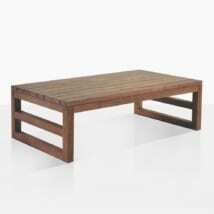 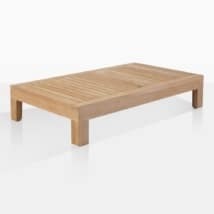 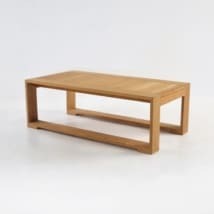 A low, flat, edgy coffee table with great figure and style, the Platform Coffee table is a true piece of genius, with the organic mid-century modern looks and the high quality materials, including teak wood, cast aluminum (powder-coated in an antique bronze finish). 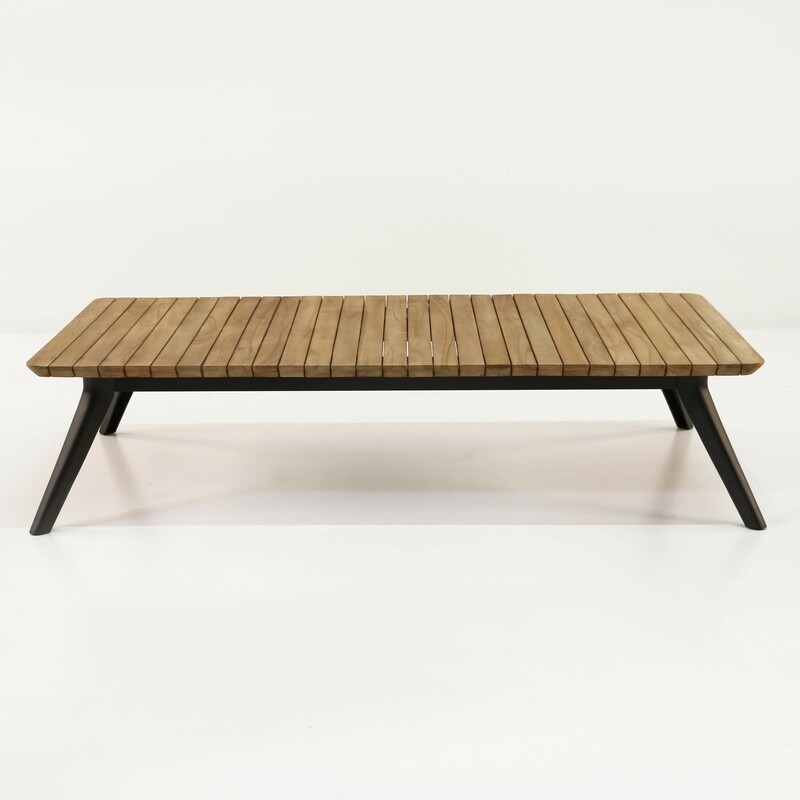 The low and relaxed style, fits perfectly with the platform sofa, but also offers an excellent venue for you to use among your other outdoor furniture, to create spectacular impact. 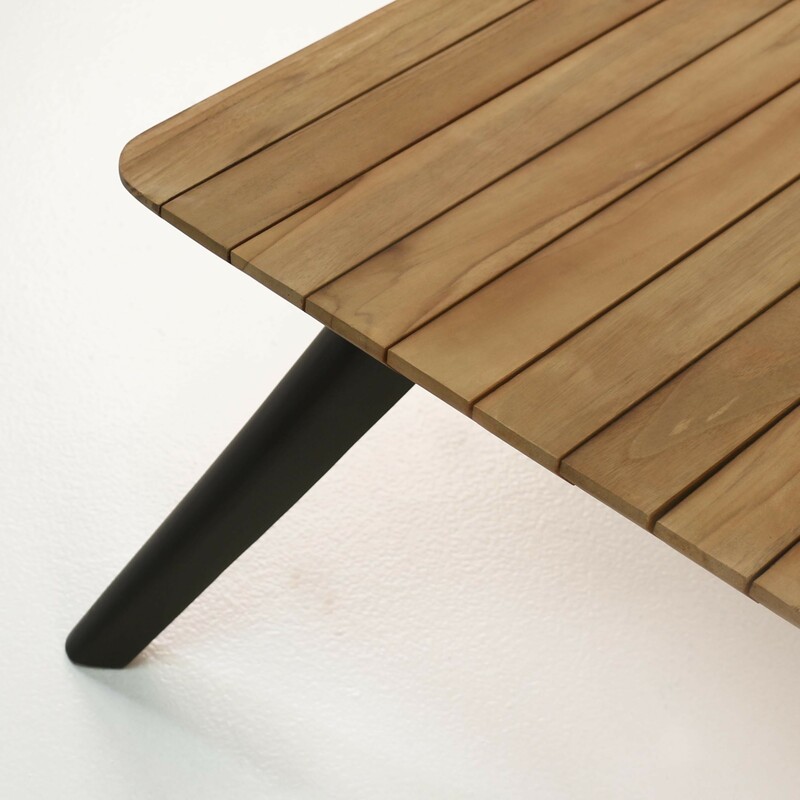 The slats of teakwood, offer a deep color palette to offset so many natural colors helping you to tie together a range of outdoor spaces with this table. 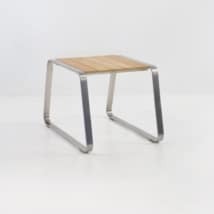 Tapered legs look so perfect with the flat, table top. W32" x L59" x H14"